CarolCooks2…Weekly roundup…Chinese Year of the Pig, Apricots and I killed my sourdough starter… | Retired? No one told me! I think it is almost impossible to kill your sourdough starter. It may look terrible from neglect (no feedings) and need lots of attention but I know it can be done. Patience is needed – see my post https://cookingwithauntjuju.com/2016/04/14/sourdough-reviving-your/ I have made a number of recipes using my starter including cakes, biscuits, pancakes and of course bread – they are all on my blog. That’s what I keep saying to myself! Ha ha!! Hi Carol, funny to read about the sourdough starter, I nearly killed one while housesitting. Luckily it survived. Since being back fulltime in NZ, we have been thinking of doing one, as love the bread and it is quite expensive to buy. We do have a breadmaker which cuts the costs down quite substantially. Chinese New Year is quite an event in a few cities here, especially Auckland and Dunedin. Hi Suzanne…I am now on Take 2 and so far so good. Day 6 which means come the weekend or early next week I may get my first sourdough loaf…Fingers crossed. Yes Chinese New Year is celebrated in quite a few countries it also coincides with Losar New Year, based on the Buddhist calendar this year. I just tagged you for the Getting to know you challenge. I’m going to try the dairy free cream, as one of my daughters can’t have lactose. Plus it will be healthier for the rest of the family! Thanks for the information! I’ll see what I can get, but at least if it doesn’t quite work I’ll know why! 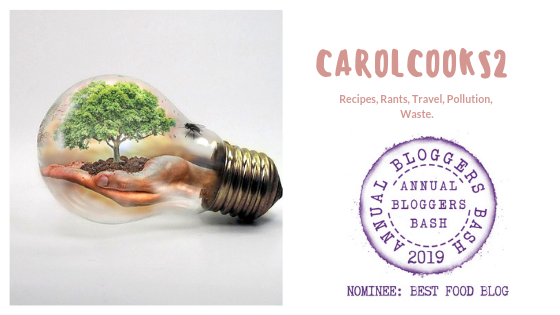 Time for Carol Taylor’s weekly round up which includes the background to this year’s Chinese New Year, her weekly post on waste and how to recycle clothes for children.. and the usual delicious recipes.